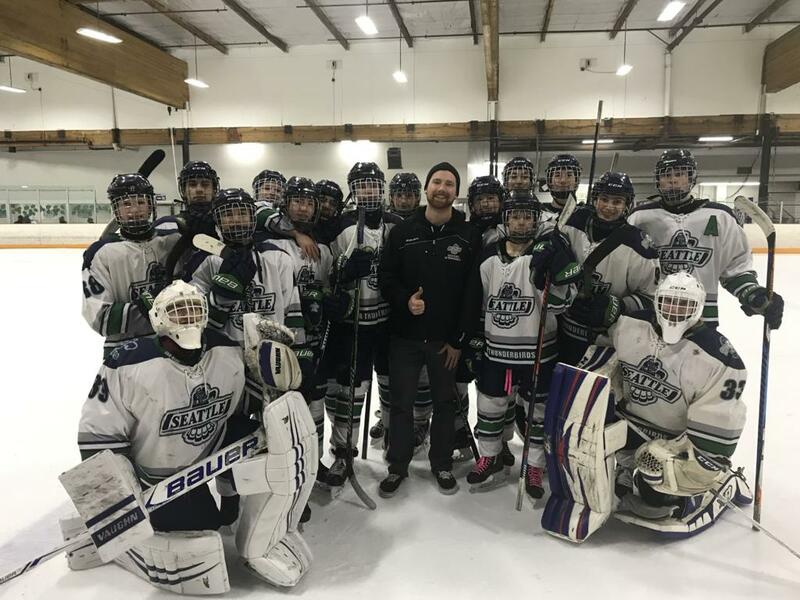 The 16U A1 team did not immediately leave the ice surface following their game vs. the Valley Thunder Wednesday night, something they are instructed to do. 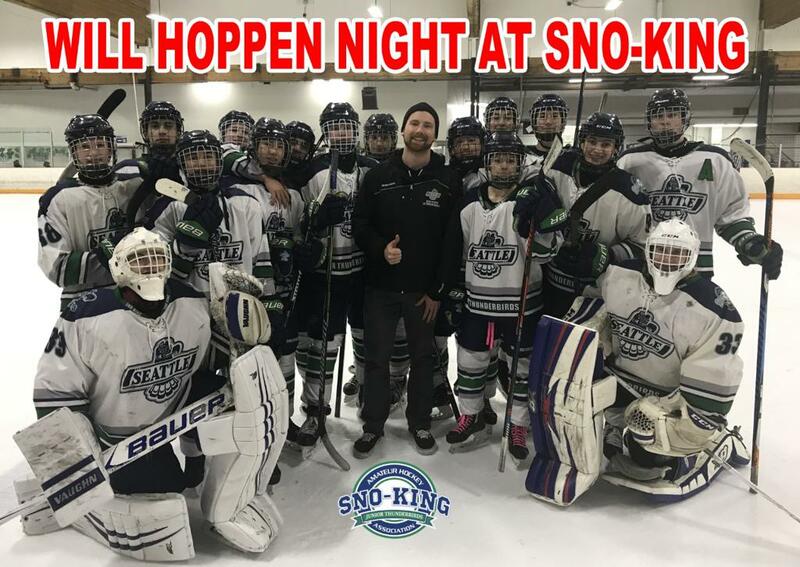 They would not leave until Sno-King Kirkland's longtime and valued Zamboni Driver, Will Hoppen, came onto the ice to see why the team was still milling around after both the visiting team and referees left. The team remained in uniform to say "thank you" and pay tribute to Will for his service at Sno-King. You see, it is Will Hoppen's last night of work at Sno-King. Will will be leaving Sno-King to pursue a career in Aerospace, something that had 16U A1 Head Coach, Mike Butters, beaming. "Will has been a fixture here at Sno-King since I started coaching here. He was a true pro at everything he did and really made the experience for the coaching staff and players a positive one every time we came to rink. The gesture by the team was the least we could do to both let him know how much he is appreciated and to wish him luck in his new endeavor." "He (Will) was always good to us. We'll miss him," said team captain, Chase Ojala.